Great Douk is an impressive collapse doline aligned on a fault. The route of the Three Peaks Challenge Walk passes close to the tree-lined hole, which can be reached by a short diversion (SD747770). A stile in the wall leads the visitor down a slippery path to the bottom of the doline, 55 metres long and 25 metres wide and deep. 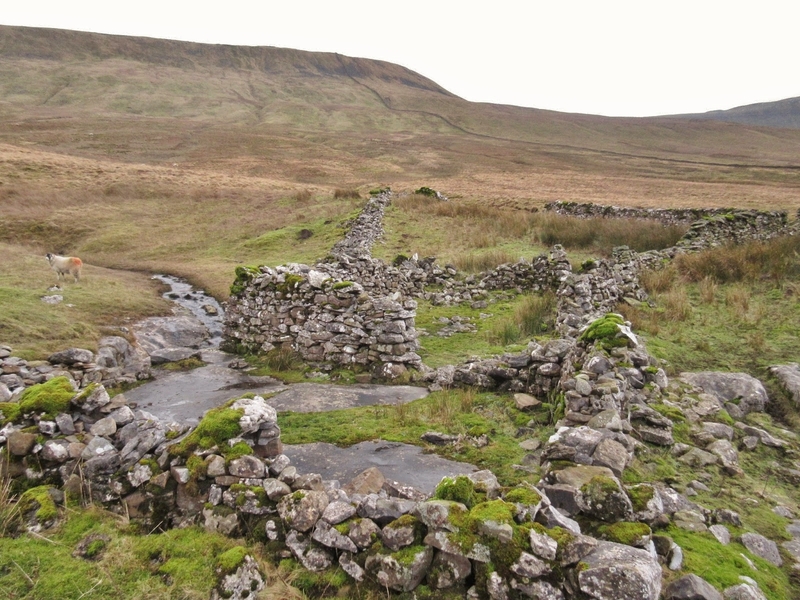 It is one of the wonders of western Ingleborough. 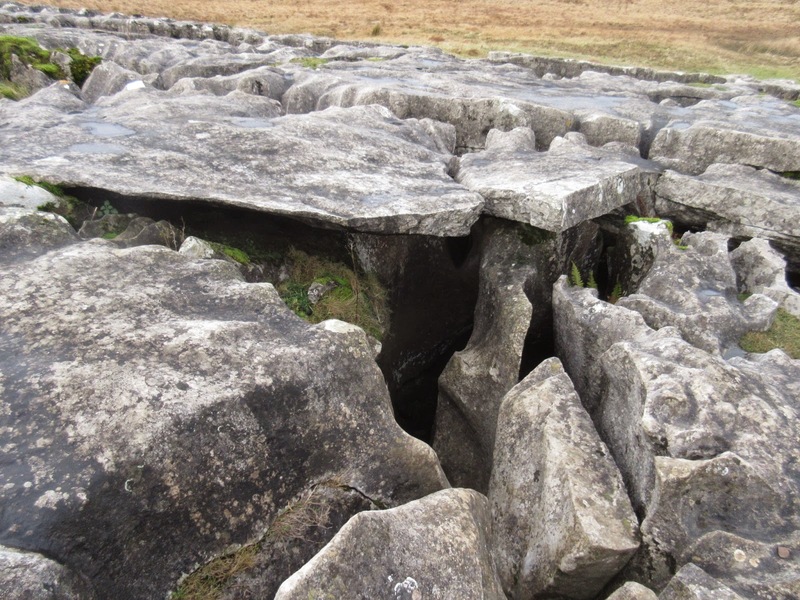 Geologists believe the Great Douk doline to be very ancient, lying as it does so far out on the Great Scar Limestone, and it is thought by some to have originated as a stream sink on the edge of a shale boundary which pre-dated the Anglian glaciation. This would make the hole nearly half a million years old. 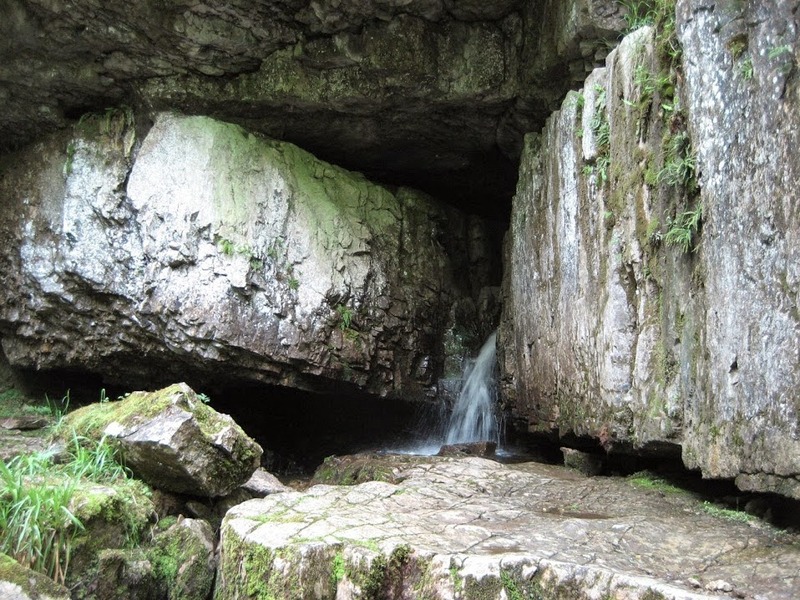 At the eastern end, a small waterfall emerges from Great Douk Cave; one of the most popular novice caves in Britain – and an impressive vadose canyon that wanders merrily for over 900 metres from the sinks at Middle Washfold (SD747764). 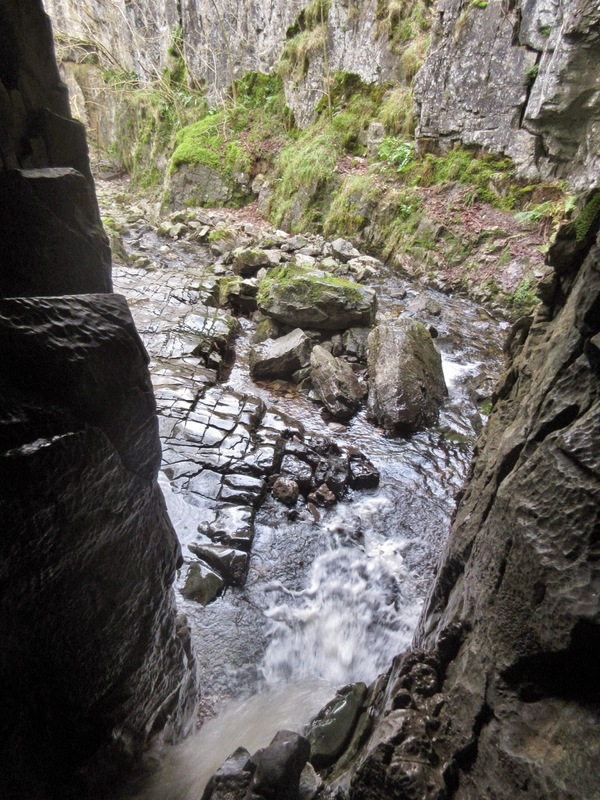 A step in the waterfall allows access, as does a crawl along the shelf to the right of the entrance. Water joins the stream-way from Southerscales Pot just inside, and the stream passage soon passes below the 12 metre window of Little Douk Pot. This shaft was probably formed through a hole on the edge of a retreating ice sheet and may pre-date the stream passage itself. Great Douk contains superb examples of flowstone curtains – and a number of small but impressive rapids. 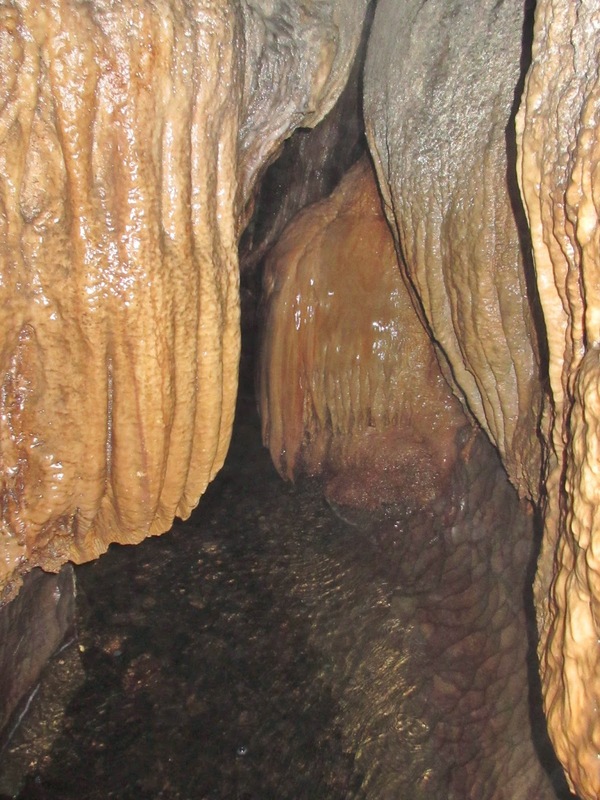 Eventually the passage cuts down into a crawl in the stream, emerging through a hole in the roof towards daylight at Middle Washfold Cave. 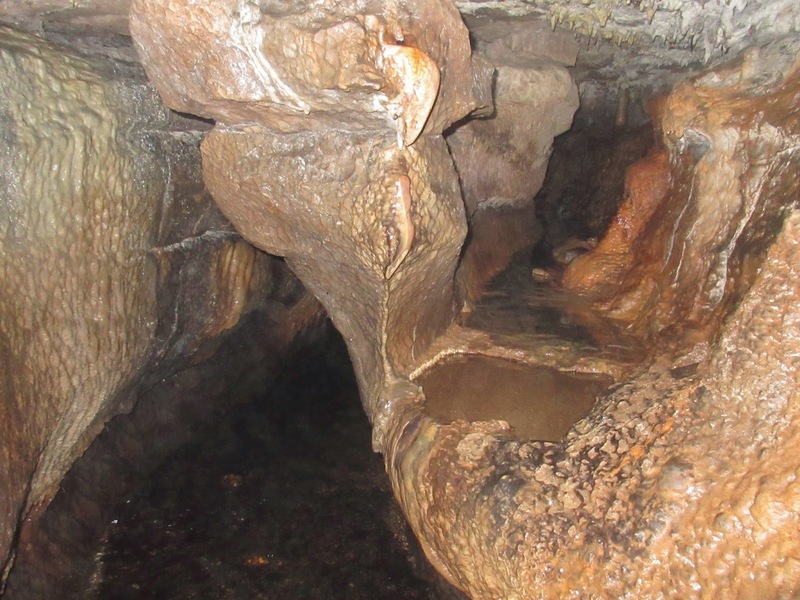 Water sinking into boulders at the bottom of the Great Douk doline eventually feeds into Chapel Beck between Weathercote Cave and Hurtle Pot, before emerging into daylight at God’s Bridge. 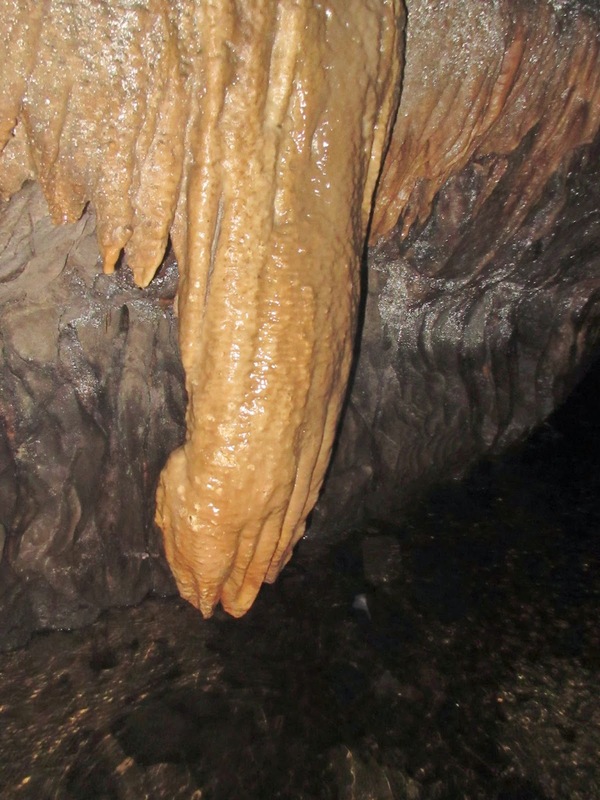 The water’s exact route underground is still largely unknown.